The Myler Flat Shank Curb Bit is a Myler level 2-3 bit. This is appropriate for horses that have been started and are working towards higher goals. Still using the tongue for signals from the rider as well as control, it is on a more subtle level and spread out. The 7" stainless steel shank has a patented swivel purchase to prevent digging in the horses face. The purchase is also cupped and angled away from the horses cheek and prevents the headstall from digging in to the cheek resulting in a more comfortable fit. The mouthpiece is crafted from a stainless steel barrel and sweet iron bars with a copper inlay. This will naturally oxidize over time and has a sweet taste that promotes salivation aiding the horse in accepting the bit. 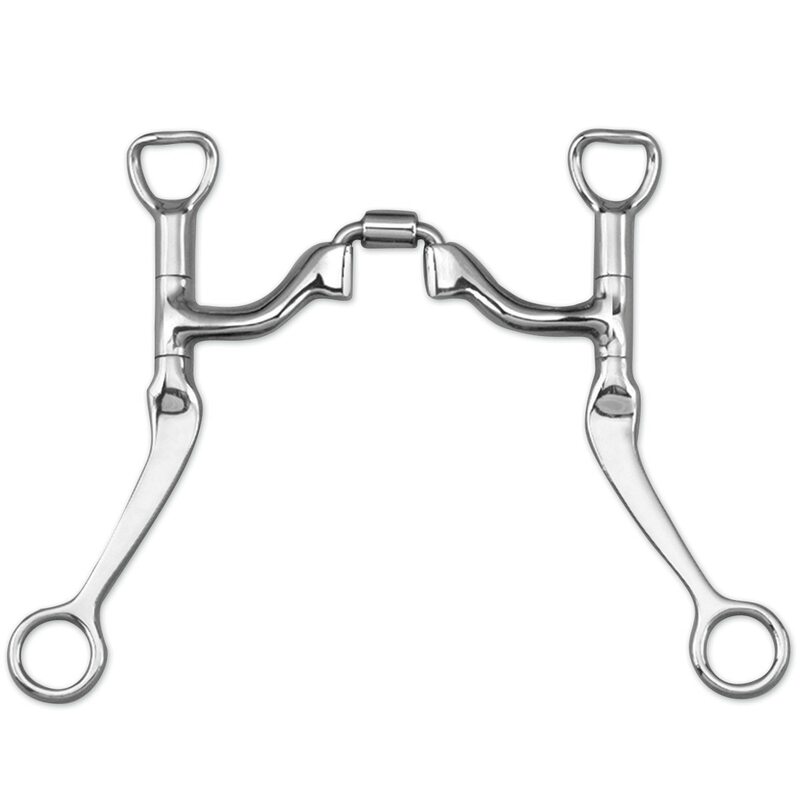 The unique port offers as much tongue relief as a level 3 mouthpiece and when both reins are engaged, the correctional will rotate downward to the tongue to apply some pressure. Independent side movement allows one side of the bit to be isolated so the rider can give clear signals such as bending, collecting, and balance. Excellent for horses in speed sports, this is one of the few correctional bits that can be used indefinitely due to the generous tongue relief. Black Steel 7" Seven Shank with Sweet Iron Low Ported Barrel Narrow (MB 43LP, Level 2-3) Copper Inlay. To find out your horse's Myler level, click here!